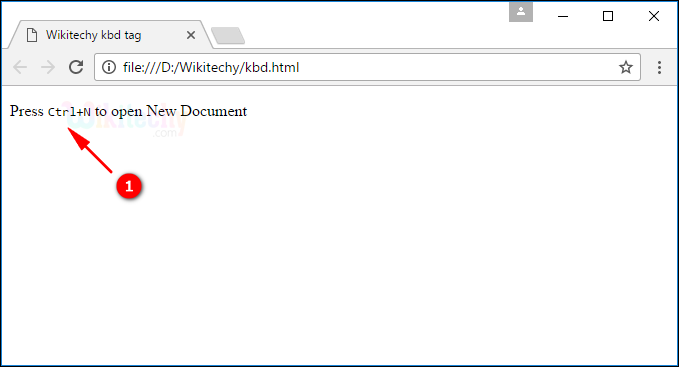 <kbd> tag is defined as the Keyboard input of the HTML elements. <Kbd> tag is a Phrase tag. <kbd> tag produces the inline element and represents the user input for displaying the monospace font in browsers. <kbd> supports Global and Event attributes. <kbd> tag belongs to Flow content, Palpable content and Phrasing content category. <kbd> tag used to highlight the keyboard input. The output shows the keyboard input “Ctrl+N” in monospace font.